The Department of English is hosting an Info Night on August 27 from 3:30 – 5:30 p.m. We’ll be there with print copies of the journal! We will also be hosting our own information session on September 11, 2015 from 6-7 p.m. (English Building. 104) for those interested in joining us as authors, editors, or peer reviewers. We will provide an overview of who we are and the many ways you can get involved with our yearlong publication process. We hope you will join us in our mission to provide a space on campus for literary criticism and foster collaboration between undergraduate students, faculty, and administration. Please email uiuclitjournal@gmail.com or Melisa Puthenmadom (puthenm2@illinois.edu) with any questions. We encourage all students of ANY standing (Freshman, Sophomore, and Junior) to apply for an Executive Board Position. 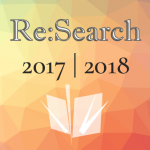 This is a fantastic opportunity to be involved in a student-run academic publication, which is also searchable on Google Scholar and cataloged in the University Library!